How Do You Know You Have a Cavity? Did you know that tooth decay is the 2nd most widespread health condition in the United States next to the common cold? At some point in your life you will most likely get a cavity, but how do you know for sure it’s a cavity? Even when you’re not experiencing any pain that does not necessarily mean you are cavity free. In the early stages of tooth decay, you may not experience any pain. This is why it’s important to visit the dentist regularly because if caught early the dentist may be able to reverse your tooth decay and prevent a cavity. Here are some signs to look for if you think you may be experiencing a cavity. 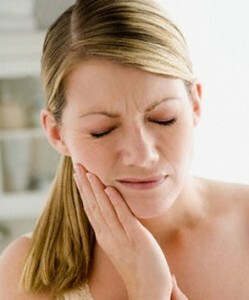 If you have continuous or impulsive pain in your tooth you should see your dentist right away before it worsens. When experiencing hot and cold foods or drinks and you are experiencing tooth sensitivity there is a good chance you have a cavity and should visit Philly Dentistry to help get you out of any discomfort. If you notice any black, brown or white stains on the surface of your teeth those could be signs of a cavity. Finally, check your teeth for any visible holes because a cavity is a hole in the tooth so if you notice any of these symptoms of a cavity you should give Philly Dentistry a call right away so the problem does not get any worse 215-568-6222. How to prevent a cavity is pretty much common sense, but people still get them every day. To remove any plaque and tartar from your teeth it is important to brush twice a day while using toothpaste that contains fluoride and don’t forget to floss at least once a day too! Other prevention techniques to fight away cavities is to eat a well-balanced diet and most importantly going to see your dentist every 6 months for your routine cleanings. These routine check-ups can catch any early signs of a cavity forming before it turns into a much more serious, painful problem. Remember dentistry is not expensive, neglecting the problem is.